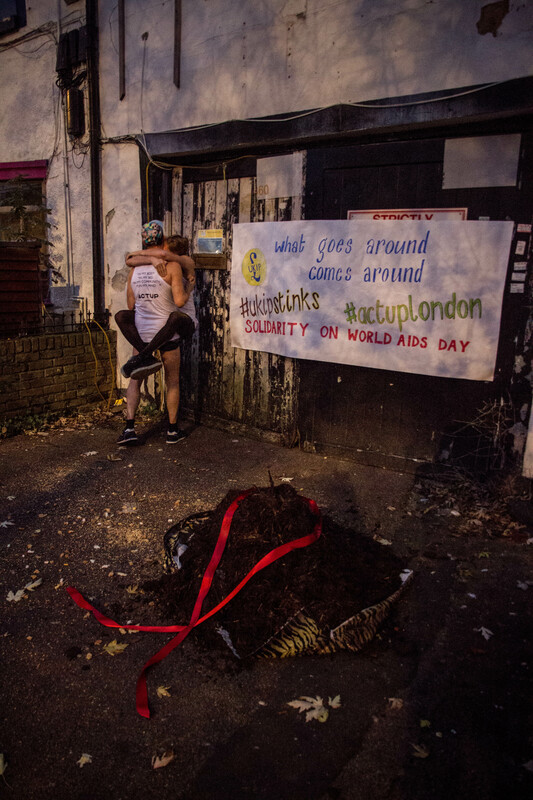 This morning, to mark World AIDS Day, ACTUP London activists dumped half a ton of fresh and steaming crap on the doorstep of UKIP’s London office this morning in protest of controversial statements on HIV by leader Nigel Farage and other members of the party. 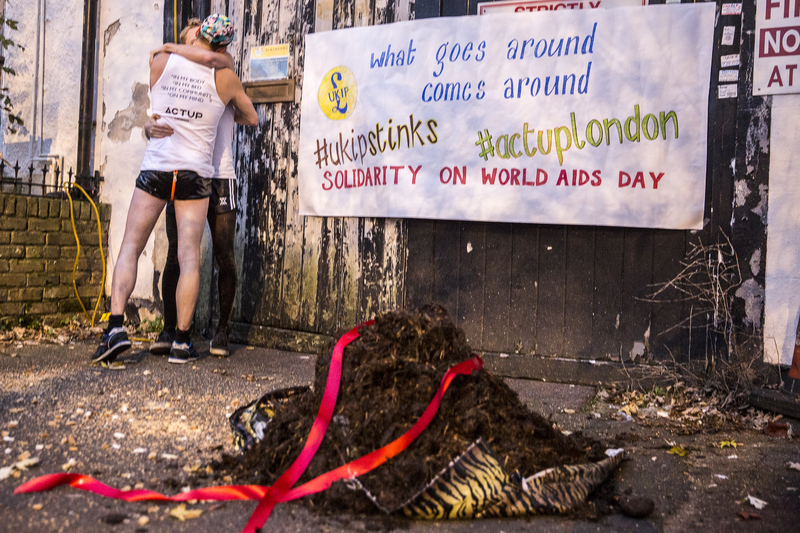 Marking World AIDS Day with the stinking stunt, we wanted Farage to know we were disgusted by his suggestion that people living with HIV should be barred from the UK. 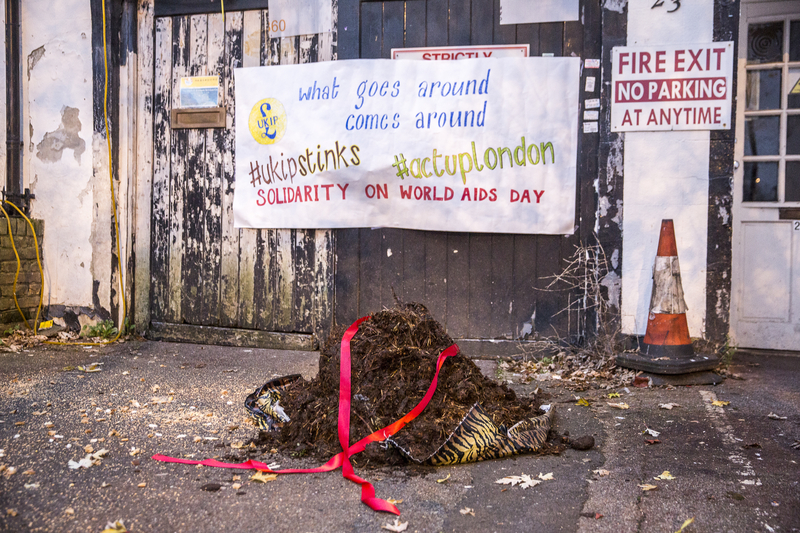 ACTUP are joining with a growing coalition of community groups challenging racism, xenophobia and prejudice, building protests against UKIP’s right-wing rhetoric up until the elections. Yes of course. Please use any of these quotes and a link back to the blog would be appreciated.